National law: Trademark law is codified in the French IP Code in Articles L711-1 to L731-4. In addition, Article 1240 of the Civil Code prohibits unfair competition and parasitic acts. EU law: EU trademarks are governed by EU Regulation 2017/1001 of 14 June 2017, which came into force on 1 October 2017.
the Singapore Treaty on the Law of Trademarks (27 March 2006). Infringement action: Infringement actions are allowed when a number of conditions are satisfied with respect to both the plaintiff’s trademarks and the defendant’s infringing acts. With respect to the plaintiff’s trademarks, the basis of an allowable action is a valid registered trademark in France (through a national trademark, an EU trademark or an international trademark designating France). In France, the ownership of the trademark is acquired on registration at the National Institute for Intellectual Property (INPI). The registration becomes enforceable against third parties on publication. It is assumed to be valid until a third party challenges it through opposition (before registration) or cancellation proceedings. The plaintiff must have used its trademark in France for the claimed goods and services. Otherwise, the registration may be subject to a cancellation action for non-use (see the section below on invalidation). An infringement action may also be brought on the basis of a well-known trademark as defined in Article 6bis of the Paris Convention, or on the basis of a protected designation of origin. Finally, the plaintiff must not have tolerated the use of a later-registered trademark for a period of at least five years – unless this later trademark was filed in bad faith. The ‘no tolerance’ condition applies only to the goods and services for which the later trademark has been tolerated. With respect to the defendant’s actions, an infringement action is possible only if the defendant has committed an infringing act. similar signs for identical or similar goods and services where there is a likelihood of confusion among the relevant public. In addition, a well-known trademark is protected beyond the specialty principle if its reproduction or imitation harms the owner or constitutes an unjustified exploitation. Under the IP Code, the planned and systematic organisation of infringing acts can be sued in the civil or criminal court. Examples include importing, exporting or manufacturing infringing products, as well as giving instructions to do so. infringes earlier rights – namely, a trademark, company name, trade name if there is a likelihood of confusion, protected designation of origin or protected geographical indication, copyright, protected design right, personality rights such as name, pseudonym or image, or name, image or reputation of a regional government. A trademark may be cancelled for non-use if it has not been used for at least five consecutive years, except if the defendant can demonstrate proper reasons for non-use. The defendant in a non-use action must file dated evidence showing a serious use of the trademark in the French territory, including extent, period and location of use. Unfair competition: To bring a successful unfair competition claim, the plaintiff must demonstrate the existence of three elements: a wrongful act, damage and a causal link between the damage and the wrongful act. In addition, the parties must be competitors. This action may be brought as an alternative to an infringement action before a commercial court. Alternatively, this action may be brought in addition to an infringement action if the plaintiff can prove the existence of a wrongful act that is different from the purely infringing act. ‘Wrongful acts’ may be defined as any acts of competition contrary to law, customs and honest practices in industrial and commercial matters. They include reproduction of packaging, advertising, colour charts, the company name or trade name. Parasitic acts: This action may be brought when a party rides on the coat tails of another party, benefiting unduly from its goodwill or investments without paying any compensation. Such action may be brought against a competitor or non-competitor. The plaintiff must prove several elements that the judge will take into account in assessing the case, including the rights holder’s trademark reputation and the amount of investments. This action may be brought either as an alternative to the infringement action before a commercial court or in addition to an infringement action. the EU Intellectual Property Office (EUIPO), which provides mediation services, but only during appeal proceedings relating to an EU trademark, upon both parties’ request. The appeal proceeding will be suspended during the mediation process. If the parties reach an agreement, the dispute is resolved. In France, arbitration is available for most trademark litigation (eg, the civil component of an infringement action, disputes over ownership of a trademark, or disputes over assignment contracts and trademark licence agreements). However, arbitration for the validity of a trademark remains uncertain as it may be considered a public policy matter, and there is no case law on this point. In addition, arbitration is available only when the parties have agreed to it in an arbitration agreement stating all the necessary details, including designation and number of arbitrators, language, timeline and confidentiality. In practice, it is difficult to obtain such an agreement between a mark owner and an infringer. Conventional mediation, which is available when the parties have agreed to it in a mediation agreement stating all the necessary details. (As for arbitration, it is difficult to obtain such an agreement between a mark owner and an infringer.) If the parties reach a settlement agreement through mediation, it must be approved by a judge to become enforceable. The most common alternative method to dispute resolution is to negotiate an amicable settlement. At any time the parties can conclude a settlement agreement to resolve the dispute. Both parties must typically make concessions. For instance, in a trademark infringement dispute, the infringer could undertake to pay compensation to the trademark owner, or place a large order with the owner, in consideration of which the owner would waive the right to submit the dispute to any courts or tribunals. Once the settlement agreement is signed, the court notes in a ruling that the parties reached a compromise. The French legal system allows two types of action: criminal and civil actions. Criminal actions are rare. They can be instituted by the public prosecutor or by the owner of a trademark, as a victim, after having filed a criminal complaint. Representation by an attorney is not mandatory, but is highly advisable. The statute of limitations is six years from the date when the offence took place. Civil actions are much more commonplace. They can be instituted by the owner of a trademark or by its exclusive licensee. The statute of limitations is five years from the date when the infringement took place. The plaintiff can base its claim on the grounds of infringement of its trademark rights and unfair competition and/or parasitic acts. Representation by an attorney is mandatory. The procedure before courts of first instance lasts on average one to two years, from the writ of summons to the judgment. Emergency or interim measures may be necessary to preserve the plaintiff’s rights while awaiting a judgment on the merits; French law permits a summary preliminary procedure to obtain prohibitive measures or a financial guarantee before initiating main proceedings. The summary procedure lasts on average four to five months, from the writ of summons to the ruling. Only nine first–instance courts have subject-matter jurisdiction over infringement of French national trademarks: Bordeaux, Lille, Lyon, Marseille, Nanterre, Nancy, Paris, Rennes and Strasbourg in mainland France, and Fort-de-France in Martinique. Among these nine courts, the owner might be allowed to choose the one that it prefers, provided that the court has territorial jurisdiction; this depends on the place where the facts occurred, the location of the defendant’s domicile or the place where the harm was suffered. Regarding EU trademarks, however, no forum shopping is allowed. The First-Instance Court of Paris has exclusive jurisdiction in France for all matters involving the infringement of an EU mark, while the EUIPO has exclusive jurisdiction over invalidation actions against EU trademarks, except for counterclaims. Pursuant to an EU directive adopted in December 2015, in addition to the competent French courts, INPI will also be competent to adjudicate invalidation actions of French trademarks and international trademarks designating France. The French government has seven years to implement this provision. the benefits made by the counterfeiter (including the savings on intellectual, material and promotional investments). transfer or cancellation of a domain name. In addition, certain legal fees and costs are recoverable in France. The losing party may be ordered to pay to the prevailing party’s costs related to the action, including legal fees, travel expenses, translation costs and official taxes. In practice, the sums awarded never compensate fully the costs incurred. However, if the plaintiff wins the case, the allocated sum for damages and compensation will generally cover its attorney fees. The maximum penalty is four years’ imprisonment and a fine of up to €400,000 against natural persons. Against legal persons, the maximum penalty is a fine of up to €2 million. Acts of infringement can be proven by any means. It is advisable before initiating any proceedings to have a bailiff write a report based on, for instance, purchases of infringing items in stores and copies of webpages containing infringing content. Then, the plaintiff can request the president of a court of first instance to authorise a seizure of samples of infringing items or all elements establishing the extent and the origin of the counterfeiting. If the judge grants the request, a bailiff will proceed with the seizure and the plaintiff will then institute legal proceedings within 20 business days or 31 civil days (whichever is longer) of the request being granted. In any case, the plaintiff holds a “right to discover information”. It is possible for the plaintiff to ask the judge, at any time during the procedure, for more evidence regarding the extent or origin of the counterfeiting if it appears that the infringer or a third party holds these elements, and that there is no legitimate reason for the hindrance. Finally, a mark owner can ask the customs authorities to detain goods suspected of infringing its rights. In order to do so, the mark owner should lodge an application for action with the customs department requesting action. The application can be for the national territory or EU wide, depending on the IP right’s basis (national or EU trademark). Defences: The defendant can argue the extinction of rights due to acquiescence. Proof of acquiescence will typically allow the defendant to prevail. The defendant will often contend that there is no infringement, because there is no likelihood of confusion between the signs and the products or services at hand. the sign is used as a necessary reference to specify the destination of the subject good or service – namely, as an accessory or a spare part – provided that there is no confusion. However, if such use infringes the owner’s earlier rights, the owner retains the right to request that the use be prohibited or limited. The defendant may also contend that the plaintiff has given it an authorisation by means of a contract (licence) or by any other means. The means employed must be proportionate to the aim. Counterclaims: The defendant may also file counterclaims requesting the invalidation of the earlier trademark for non-use, or the invalidation for lack of distinctiveness, descriptive character or dilution. The mark owner should prove that it has been active when defending its trademark. Examples of activity include cease and desist letters, legal actions and actions against newspapers in order to put an end to the use of the mark at issue as a common name. The owner may also brief its employees and business partners to avoid any use of the mark as a common name. The parties have one month from the notification of a judgment, or 15 days from the notification of a summary ruling, to appeal the decision. However, foreign persons are given two additional months. There are nine competent courts of appeal – the appellate courts for the nine competent first–instance courts. The appellant must file a brief within three months of filing its notice of appeal, and the respondent has three months to answer, following a recent legislative reform of the appeal proceedings. Notwithstanding these deadlines, because courts of appeal are overloaded it can take months (or even years) before an appellate ruling is issued. An appeal has a suspensive effect and thus the first-instance ruling will not be executed unless it states that the decision will be immediately applicable. By contrast, preliminary injunctions are always provisionally enforceable. The appellate court will be required to review the entire case. The Court of Cassation does not review findings of fact; it considers only the conformity of the ruling of the appellate court with law. The appellant must file an appeal before the Court of Cassation within two months of notification of the ruling of the court of appeal. Foreign persons are given two additional months. A special attorney must be appointed. The claimant must file a brief within four months of filing its notice of quashing. The other party will have two months to file a brief in response. The cassation proceeding has no suspensive effect – the ruling of the court of appeal must be executed despite the further appellate proceedings. Alain Berthet is the founding partner of PROMARK, which he established in 1991 after starting his practice in 1984. He holds a postgraduate degree in IP law from the University of Paris-Pantheon, where he taught trademark law for 12 years. 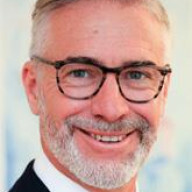 A member of the Paris Bar, he has extensive experience with trademarks, designs, copyright and domain names, and advises national and international clients in France and before the EU Intellectual Property Office, the French courts and the European Court of Justice. 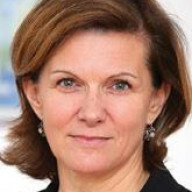 Bénédicte Devevey holds a master’s degree in industrial property law from the University of Paris-Pantheon. After qualifying in 1983, she worked for various specialist IP firms in Paris as an IP legal consultant in trademark and industrial design law, before joining PROMARK as a partner in 1996. She is a member of the Paris Bar. Her areas of expertise include trademark and industrial design law, copyright, domain names and unfair competition. Elisabeth Berthet is a doctor of law and a doctor of pharmacy, and joined the Paris Bar in 2000. She worked for various specialist IP law firms in Paris before joining PROMARK as a partner in 2012. Before becoming a lawyer, she worked between 1993 and 1999 in patent and trademark attorney firms. Ms Berthet has extensive experience with pharmaceutical litigations in France, notably regarding patents and trademarks.